Last week, I started this new blog mini-series where I’m going to share with you the things I read, watch or listen to, that inspire me in sharing this message and in promoting a mindful practice. This week, I would like to recommend 3 films about yoga that I’m sure you will also find inspirational. As days become shorter and more time is spent indoors, enjoy those lovely evenings on the sofa – I just find these more fulfilling to watch than entertainment TV. 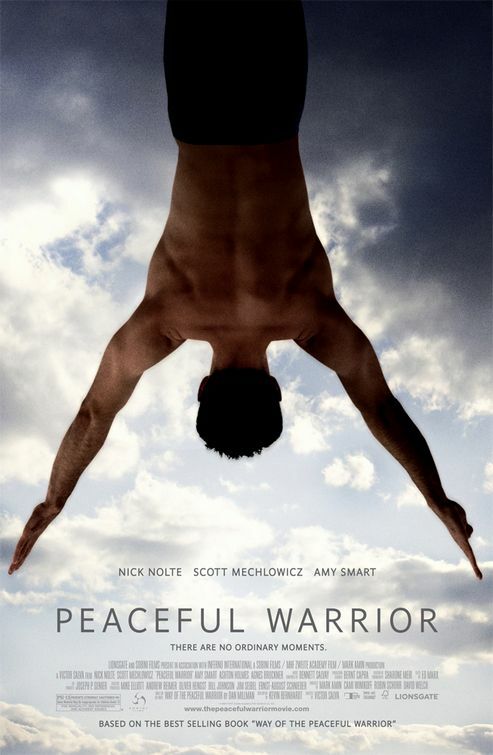 Peaceful Warrior is a 2006 drama film directed by Victor Salva and written by Kevin Bernhardt based on the novel Way of the Peaceful Warrior – a part-fictional, part-autobiographical book based upon the early life of author Dan Millman. Set at U.C. Berkeley, the film stars Scott Mechlowicz as a troubled but talented gymnast. The story tells of a chance meeting with a service station attendant who becomes a spiritual teacher to the young gymnast, Dan Millman. The attendant, whom Millman names Socrates (played by Nick Nolte), becomes a kind of father figure and spiritual guide, teaching Millman how to become a “peaceful warrior”. He trains Dan physically, making him run, correcting his poise and breath, practice tai chi, meditation and aikido and refine his gymnastics. But he also teaches him that he must be happy without any reason. 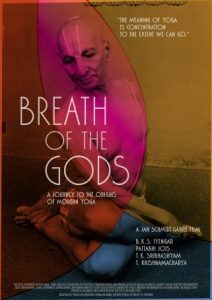 Breath of the Gods – a Journey to the Origins of Modern Yoga is a feature-length documentary including rare historical footage as well as reenactments, to delve into the story of how modern yoga originated in the early 20th century, a creation of Indian savant T. Krishnamacharya (1888-1989). Krishnamacharya’s life and teachings are seen through the eyes of director Jan Schmidt-Garre, on his search for authentic yoga. His journey leads him from the legendary students and relatives of Krishnamacharya’s to the source of modern yoga, at the palace of the Maharaja of Mysore. The documentary features yoga legends K. Pattabhi Jois – from whom Jan learns the sun salutation, B. K. S. Iyengar – from whom he learns the headstand, and T. K. Sribhashyam, who reveals to him his father’s secret “Life-Saving Yoga Session”. Suzanne Bryant’s 20-year exploration of yoga led her to study with some of the most inspiring and celebrated teachers. As well as being a meditation teacher and wellness coach, Suzanne holds a masters degree in spiritual psychology and nutrition. 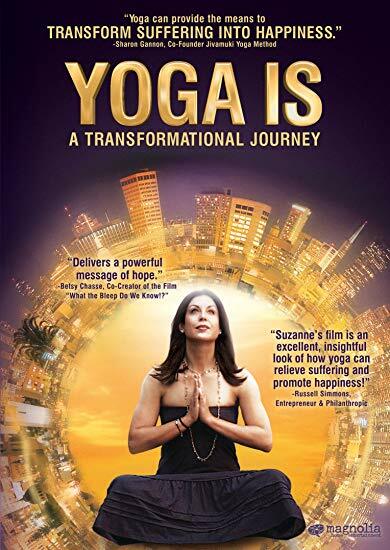 Her film, YOGA IS, explores her journey to India and back, after losing her mother to cancer, while meeting with and interviewing many sought-after teachers, also on their own path of yoga and transformation. In the film Suzanne proposes questions about love, truth, happiness, dark and light, transformation and more. Insightful watch.